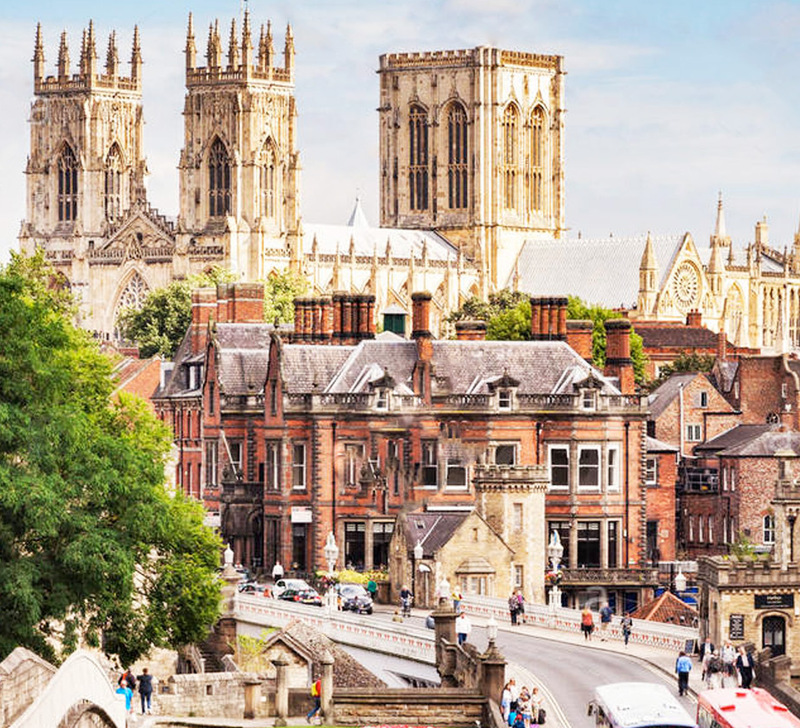 York has a growing demand for housing, more people are looking to buy and let in the York area and this trend shows no signs of slowing down. 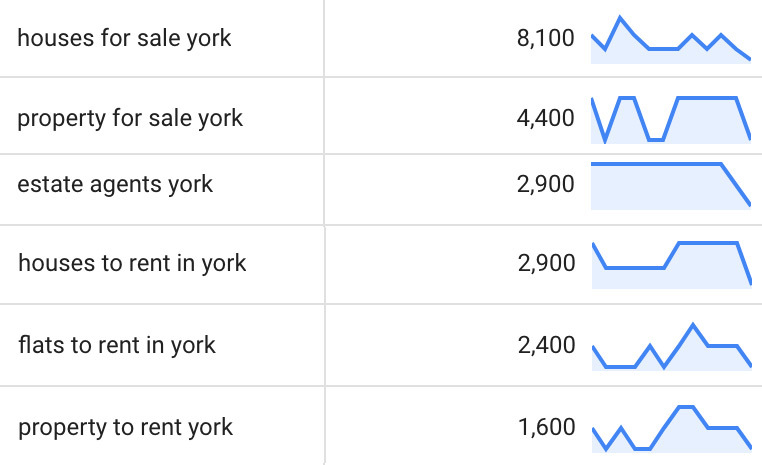 From Google's Keyword Analytics Data it's proven that users across the UK are searching for property within the York area, with over 20,000 monthly searches from users looking for sales and letting in York. For new and even existing estate agents getting seen on the first pages of Google can be a daunting task, with a competitive estate agent market and the now popular knowledge that SEO does work in improving sales and leads, estate agents are actively applying SEO to gain the top spots in Google. We offer bespoke plans to suit estate agent companies of all sizes. We've taken some live statistics directly from Google, these are monthly average search volumes for related keywords in the property market in the Leeds area. Why do so many Estate Agents utilise SEO? Getting seen for competitive search terms such as 'Estate Agents in York' or 'Letting Agents in York' can make a big difference in your business. Not only does your website appear to be more professional and trustworthy but it also stands out from the rest. This leads to more enquiries, leads and sales and long-term business relationships. We provide unique expert SEO for each estate agent business. We assess various aspects of your website from content, user experience, coding, current website exposure as well as brand reputation. We then provide your with detailed feedback on our recommended approach and methodology. Getting seen above of the competition has a wealth of benefits, we've listed some of the real-world benefits of SEO below. We provide SEO plans for estate agent companies of all sizes, if you want to find out more about our plans get in touch with one of our experiences SEO experts today. Being a local SEO agency we know the area and estate agent market well. We have over 15 years experience working in the most competitive SEO markets helping companies of all sizes grow beyond what they thought was possible. This knowledge helps is leverage our unique and proven expert SEO in other marketing sectors including real estate. We also offer additional Digital Marketing Services to businesses around the York area. Such as SEO, Social Media Management, Pay Per Click Management, eCommerce, Website Hosting and much more. Feel free to get in touch today for a free SEO or Website audit and no obligation free quote.